One of our current projects is a change of occupancy where the change will require a 2 hour rating between the main level A-2 occupancy and the R-2 occupancy above. The challenge in these situations is that you do not want to tear into the floor or change out the floor framing members. In new construction the entire floor assembly is often use to achieve the rating. However the Gypsum Association manual has a new note for certain assemblies. 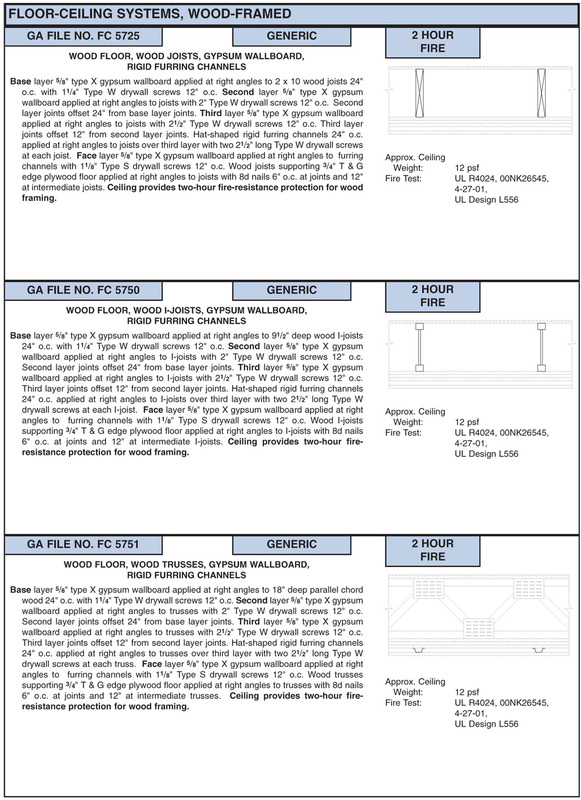 “Ceiling provides two hour fire resistance protection for wood framing.” Where that note is included the entire rating is provided by the gypsum and you don’t need a particular floor. On a related note, the woman who answers the phone at the Gysum Association is very knowledgable about fire ratings. Your wood framing members are required to be at a minimum of 16″ on center. When they are you get 20 minutes in a wall and 10 minutes with floor and roof joists.